Helambu is a popular trek in the Nepalese mountains. 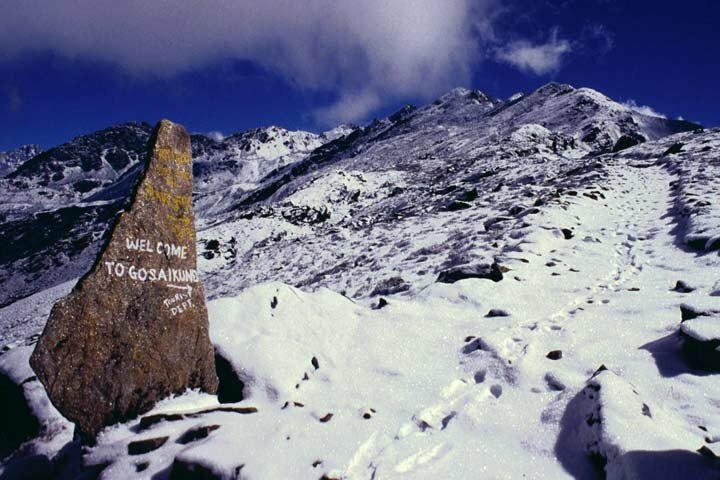 It is a round about trip that includes Helambhu-Gosaikund-Langtang route. 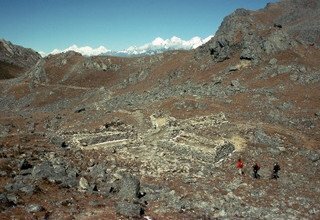 Two main villages Melamchi Gaon and Tarkeyghyang constitute the Helambhu outfit. 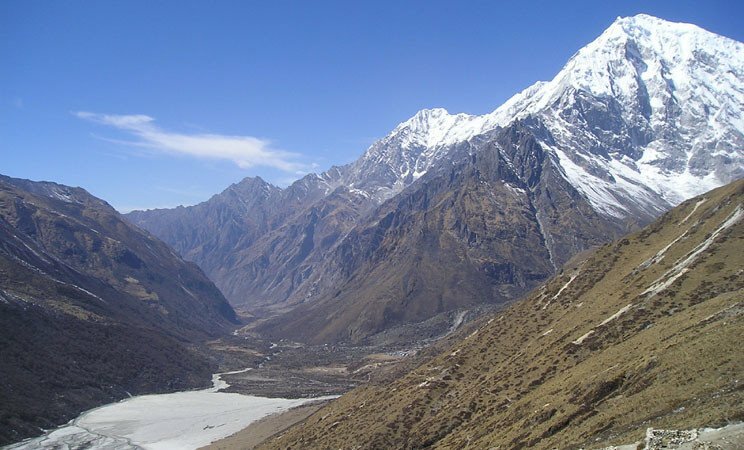 The region starts from the ascent from the Helambhu Valley and cross over Lauribina La pass at 4,610 meters and descend all the way to Langtang valley at about 1400 meters. 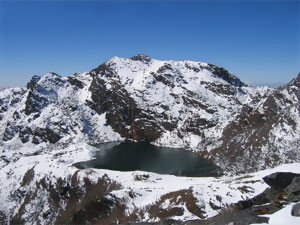 The route is a challenging one with rocky narrow uneven trails ascends above 4,000 meters from Tharepati to Gosainkunda. 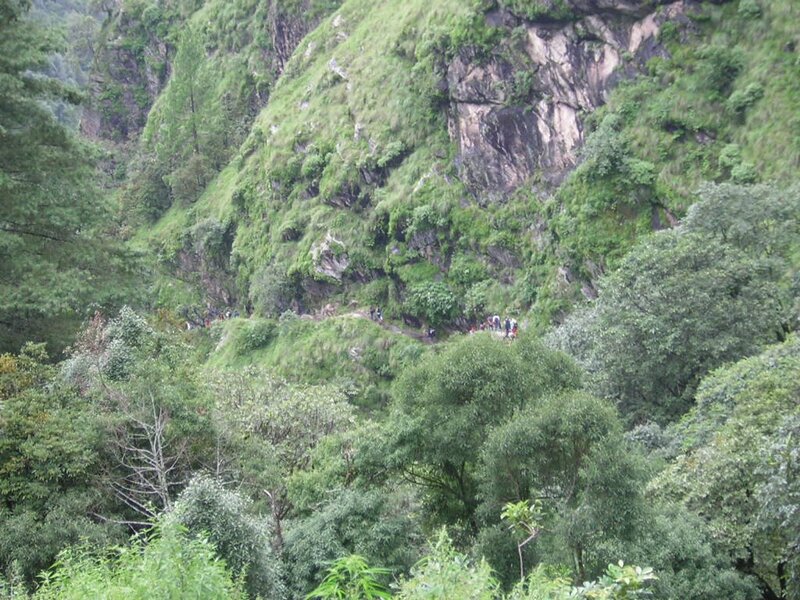 Then the descent across the rhododendron forests till the beautiful Syabru Village, a scenic rest place. 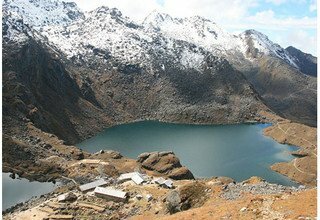 Helambhu and Langtang are also famous for its sweet apples and artistic Buddhist monasteries as well as high altitude glacial Gosaikund Lake. Day 3: Drive from Kathmandu to Barabise 5 hours and trek to Thagam 1800m/3 hours, stay overnight at Lodge. 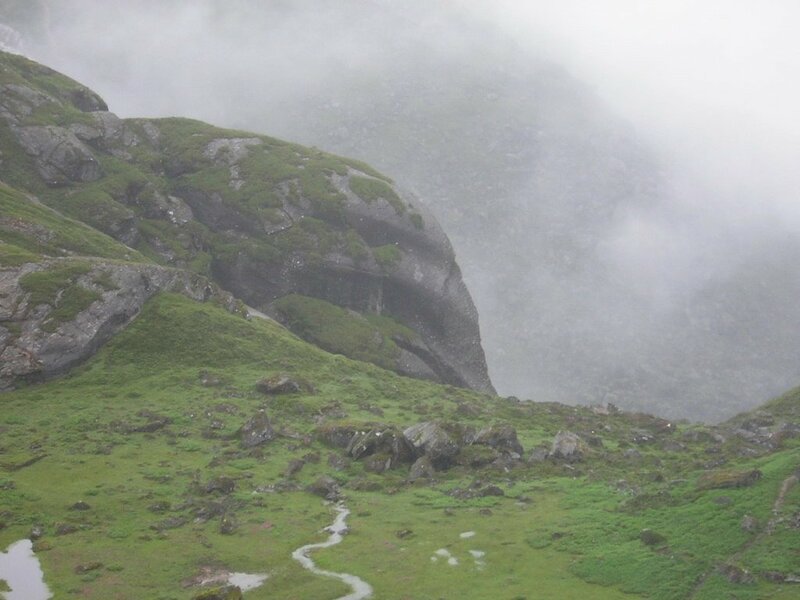 Day 4: Trek from Thagam to Hagam 2200m/6 hours, stay overnight at Lodge. 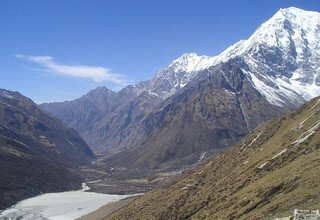 Day 5: Trek from Hagam to Pangtang 1730m/5 hours, stay overnight at Lodge. 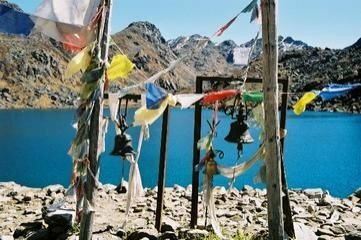 Day 6: Trek from Pangtang to Sindurche 2800m/6 hours, stay overnight at Lodge. Day 7: Trek from Sindurche to Okhreni 2440m/6 hours, stay overnight at Lodge. 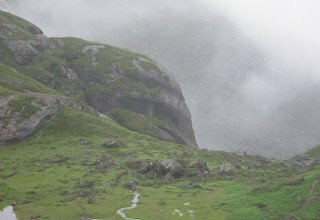 Day 8: Trek from Okhreni to Gunsakot 2600m/7 hours, stay overnight at Lodge. Day 9: Trek from Gunsakot to Thulo Bhotang 1850m/6 hours, stay overnight at Lodge. 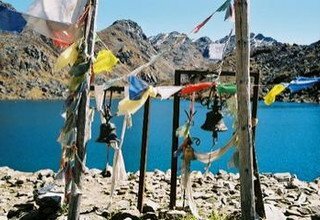 Day 10: Trek from Thulo Bhotang to Sermanthang 2590m/7 hours, stay overnight at Lodge. Day 11: Trek from Sermanthang to Tarkegyang 2600m/5 hours, stay overnight at Lodge. 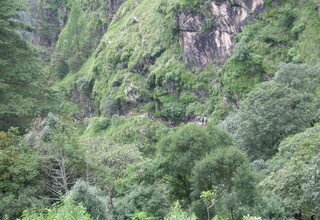 Day 12: Trek from Tarkegyang to Melamchi Gaon 2530m/5 hours, stay overnight at Lodge. 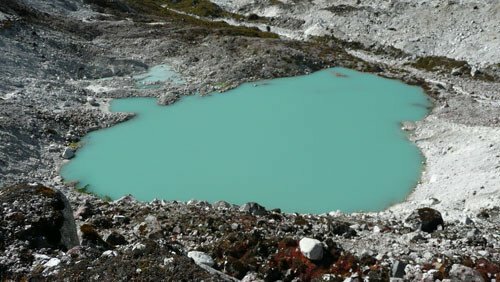 Day 13: Trek from Melamchi Gaon to Tharepati 3690m/6 hours, stay overnight at Lodge. 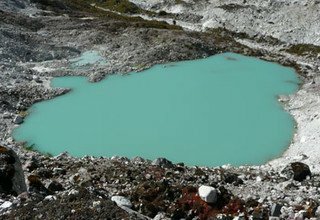 Day 14: Trek from Tharepato to Ghopte 3430m/5 hours, stay overnight at Lodge. 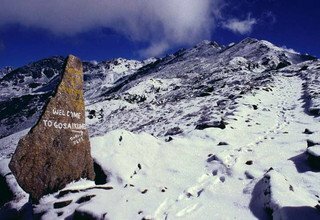 Day 15: Trek from Ghopte to Gosaikund Lake 4380m/7 hours via Lauribina-La Pass 4610m, stay overnight at Lodge. 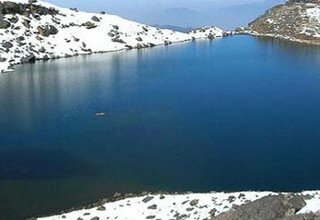 Day 16: Trek from Gosaikund Lake to Thulo Syabru 2250m/ 7 hours, stay overnight at Lodge. 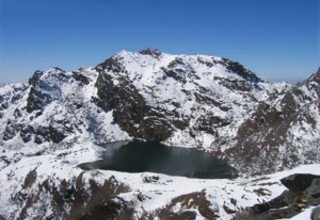 Day 17: Trek from Thulo Syabru to Syabrubesi 1460m/5 hours, stay overnight at Lodge. Day 18: Drive from Syabrubesi to Kathmandu and transfer to Hotel. 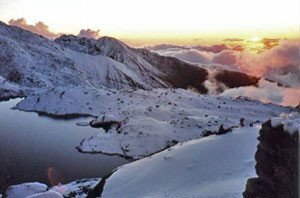 * Langtang National Park Permit, and all necessary permits.